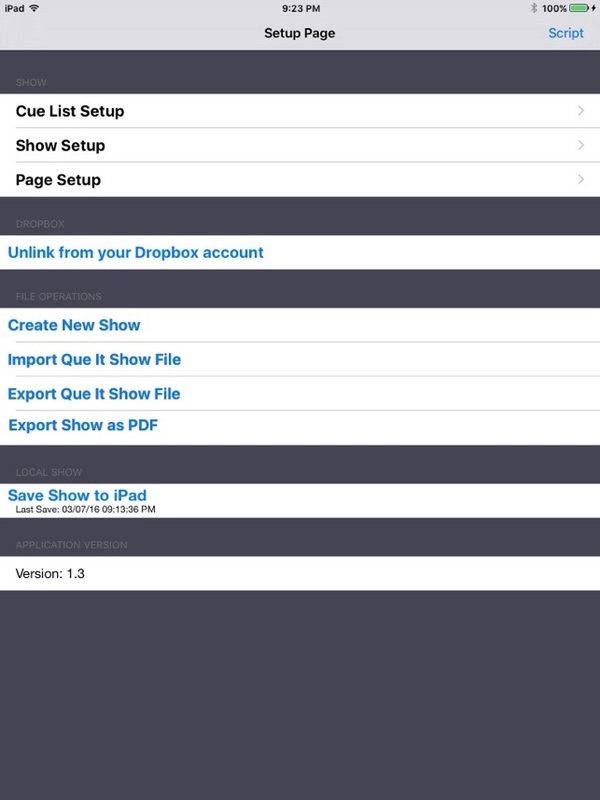 Que-It is an organizational iPad application for stage managers and designers. 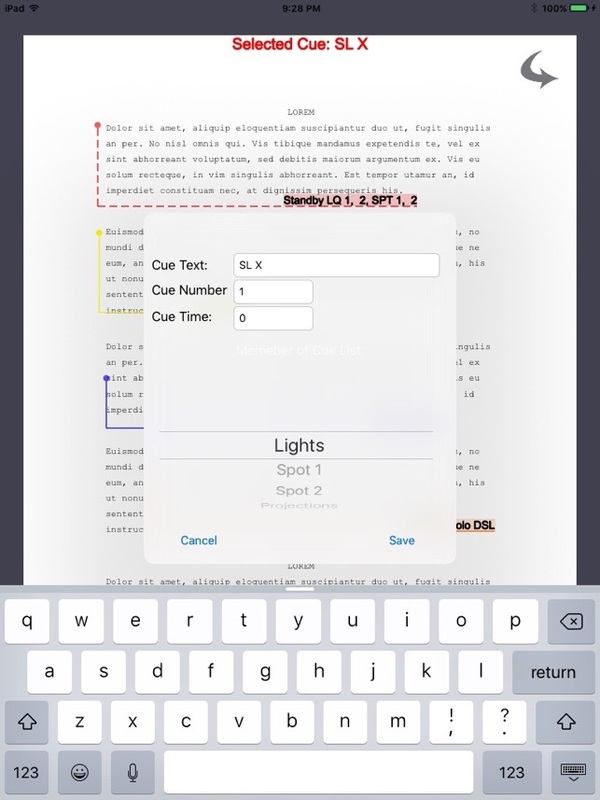 The application allows the users to load a PDF of a script and then organizes the Q’s into categories, such as lighting, sound, deck, and projection, however categories are defined by the user and any system or organizational style can be used with the application. The application also has the ability to create a prefix for each list as well as the ability to hide and show individual lists. This application has the capability to auto number or letter each Q list, or allow the user to load in a number or letter. It also allows the user to enter data as to what the purpose of the Q is. 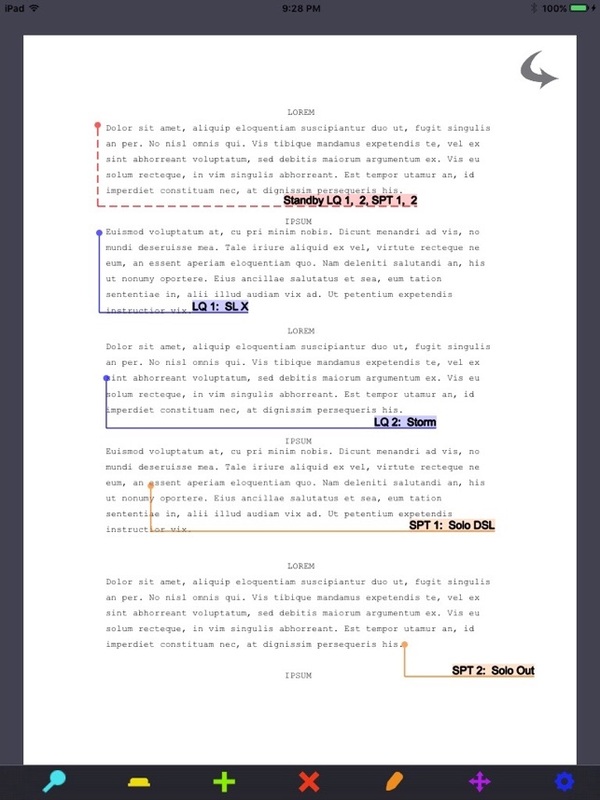 Once the information is set, the application will auto stand-by the script. 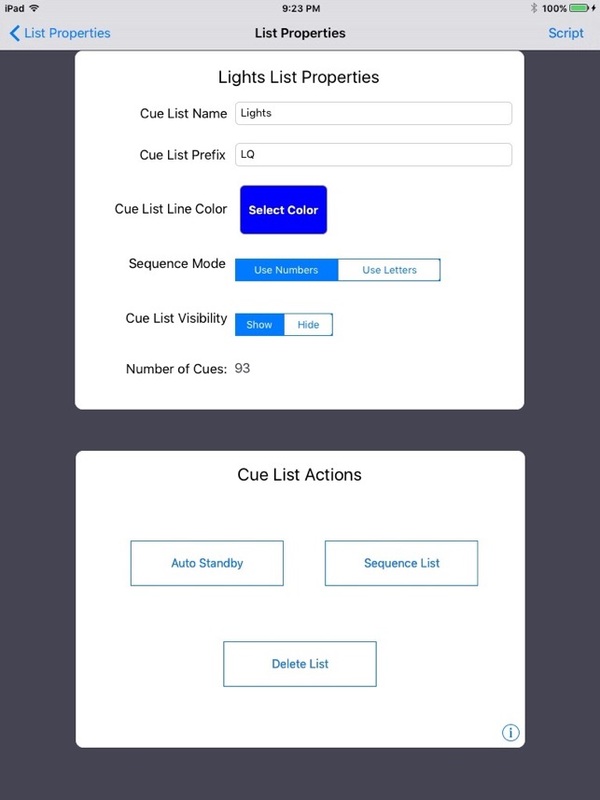 All of this data can be manipulated within the application allowing the user to edit a cue's data as well as allowing the user to change the location of the cue or remove the cue from the script. At each stage of the work the file can be saved to a cloud or server for back up. Once the information is set to the users needs the application can auto stand-by the script if desired or the user can create a standby cue list . If using auto stand-by's the user can then leave these stand-by’s individual or combine them across cue lists. The application allows the user to customize settings giving the choice of color for each category. 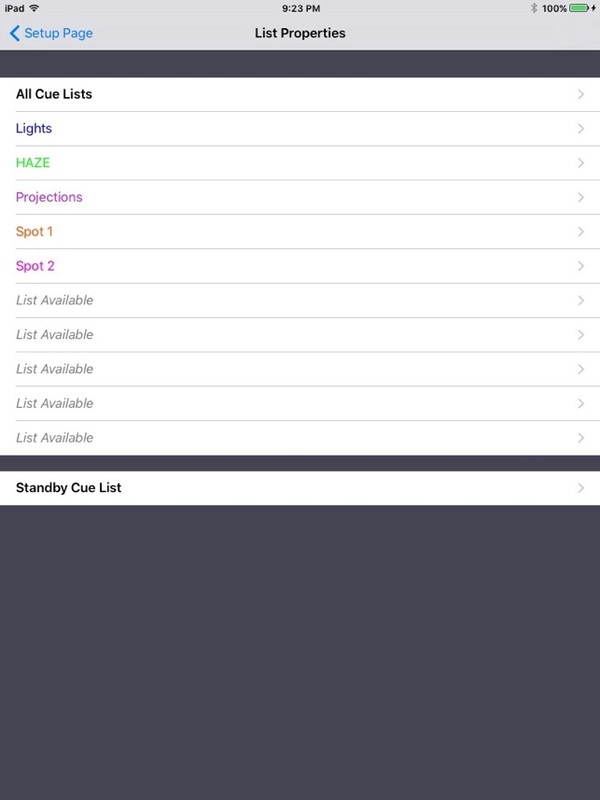 Additional features of the application are managing a set of bookmarks for quick navigation, exporting and importing individual cue lists as well as entire shows for sharing, storing contact information for each designer as well as the venue the show is being produced in. Que-It also has the ability to map a PDF page number to a user defined page number, which will allow for better compatibility with rehearsal scripts. Amazing for Stage Mangers, designers, or any creative team members. I’m very hesitant about digital callbooks, mostly from horror stories about loosing everything mid-show. This make everything so much easier. 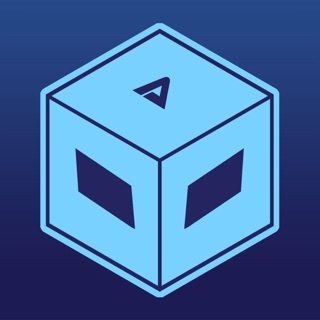 The app is very easy to use and very easy to save and update. There’s a print button directly from the app, making it easy to have a paper copy as well. It saves on the app and directly to your iPad. 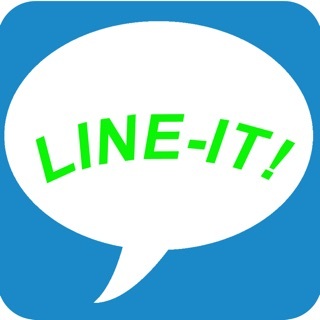 This is app is very user friendly. I learned about it at USITT, where there were others like it, but this far outweighs the others. Other apps run up to $200 a year, this is just a flat fee or $20. I’m going to share this app with everyone I can. This app is phenomenal. With all the technology surrounding us in theatre, why didn't someone create this earlier? I can see tons of uses for this, and know it will streamline my design process by reducing meeting times and improving communication with my stage managers during tech weeks. Love it. 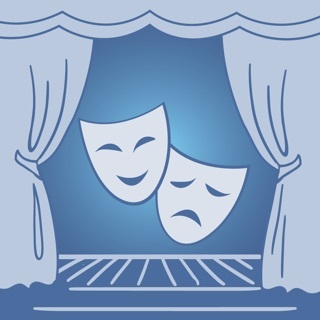 This is an excellent app for theater designers and stage managers.